“A very positive day! I think we can be very pleased with this qualifying session. After a few tough races, it was time to get back to where I think we belong and to fight for the top six, half a second clear of the Force India, is something to be proud of. So it was very difficult to get into a rhythm, but finally in Q3 I managed to do two consecutive laps on the ultrasofts and the lap came when it counted. “A strong day today. That last lap felt pretty good and, even if I only had one set of new ultrasofts left for Q3, we delivered a solid performance and we can be pleased with a P7. It’s always pleasing when the car is at its best on the last lap. It’s encouraging to see that we are back where we should be, showing that we are competitive here, and - fingers crossed - tomorrow we can have a good race! “A very positive day for us. P6 and P7 in qualifying today is a good pick-me-up for the team. We have struggled at recent events with our top speed deficit. This result just gives everyone a bit of a confidence boost that we have been doing a good job and that when you come to a track which negates some of our weaknesses we can compete again at the level we expect. Obviously, qualifying is only your starting grid and ultimately we are all measured by the finishing result tomorrow and not today. 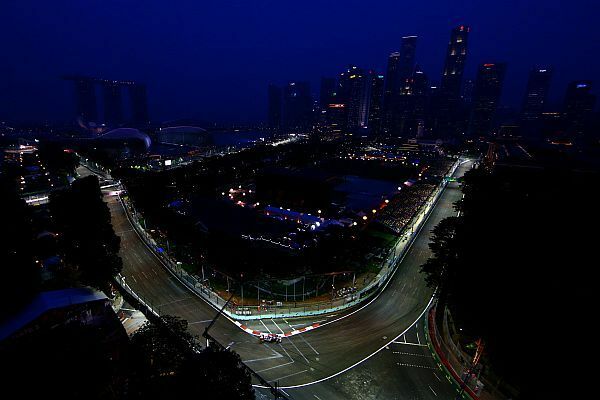 On top of this, Singapore race has traditionally been a tricky one and I think there will still be some tyre-related and safety-car-shaped curved balls to negotiate tomorrow. Carlos actually also did an excellent job earlier in qualifying by getting through Q1 with a fantastic lap on supersofts. As a result this gave him an extra set of new ultrasofts in Q3 compared to our original plan and enabled him to gain that little bit extra.